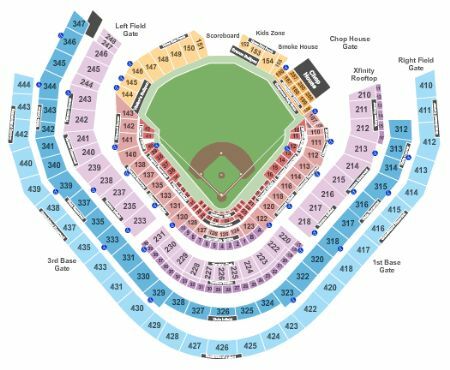 Atlanta Braves vs. Colorado Rockies Tickets - 4/27/2019 - SunTrust Park in Atlanta at Stub.com! Access to the Delta Sky360 Club includes VIP entrance, in-seat wait service & all-inclusive food and beverage (excluding hard liquor). Aisle Seats. Mobile Entry: Scan your tickets from your mobile phone for this event. Do not print these tickets. Padded Seat. These seats are located behind the safety netting. Third row in this section.